Select the currency in which prices should be displayed. Select the country to which you would like to send your order. Knowing the ID of the product, you can quickly add products to the cart. We have added the possibility of paying by a bank transfer. The bank transfer details are sent in an e-mail after ordering. Fast shopping without login! Order chemicals online! Are you looking for products that you may need to work in a chemical lab? In our online store you can order hundreds of top quality chemicals to help you with your researches, tests and experiments. 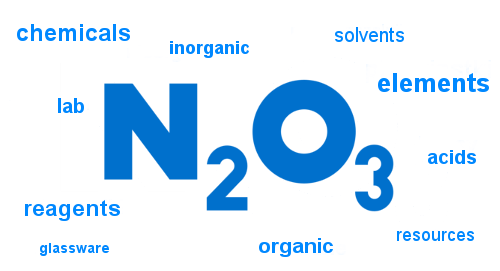 N2O3.com offers products of world-renowned manufacturers. We guarantee friendly prices, which decrease with the order quantity of chemicals. In our online store you can order reagents, laboratory glassware and all kinds of acids, such as sulfuric acid.